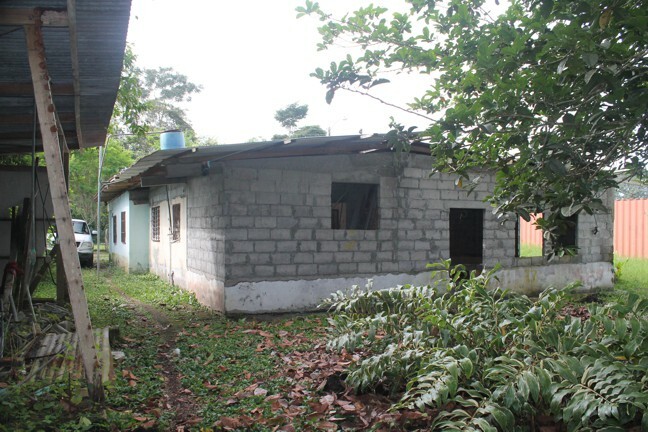 Caisan Panama farm with unfinished house. 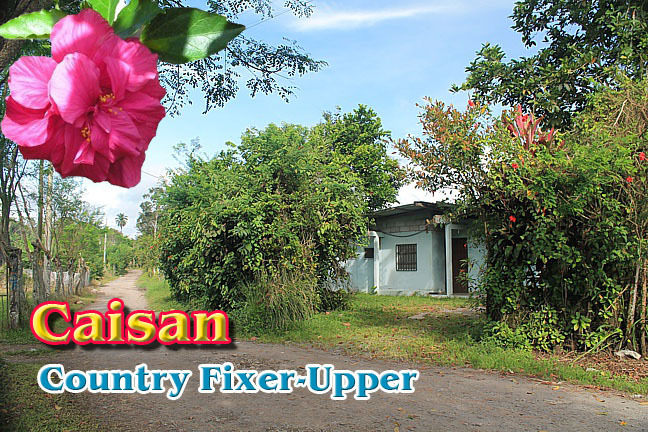 Acreage in Caisan with Unfinished Farmhouse. 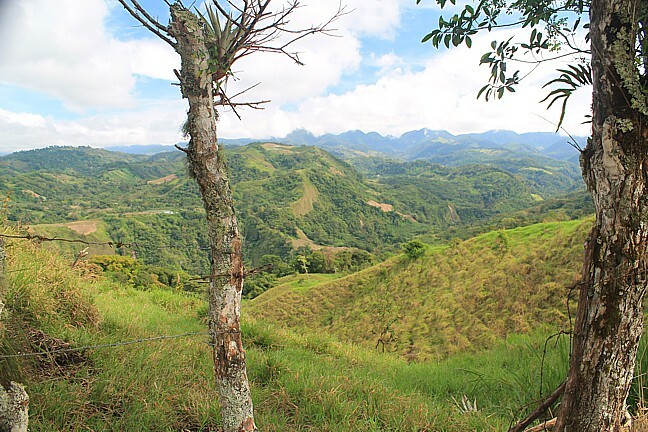 A half hour drive west of the mountain town of Volcan, Panama is the thriving agricultural community of CAISAN. 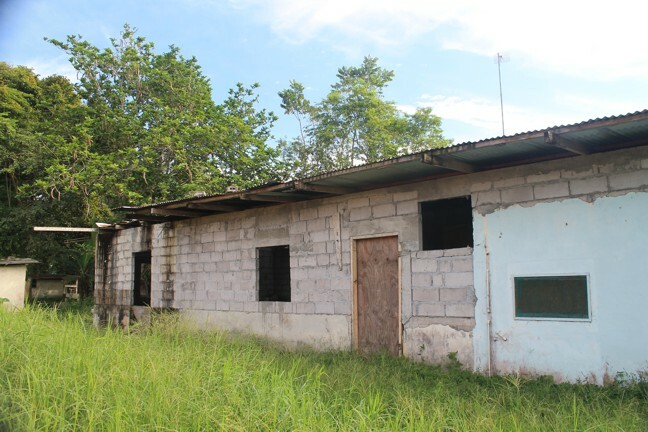 This 4.39 acre farm is offered at $85,000 USD. (or offers). 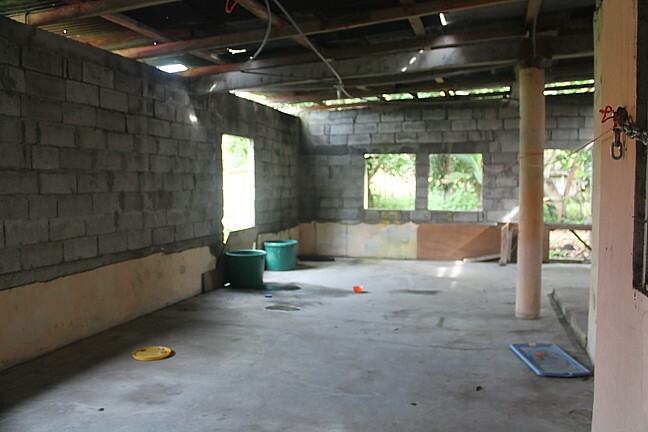 The farm house is unfinished due to illness in the family. 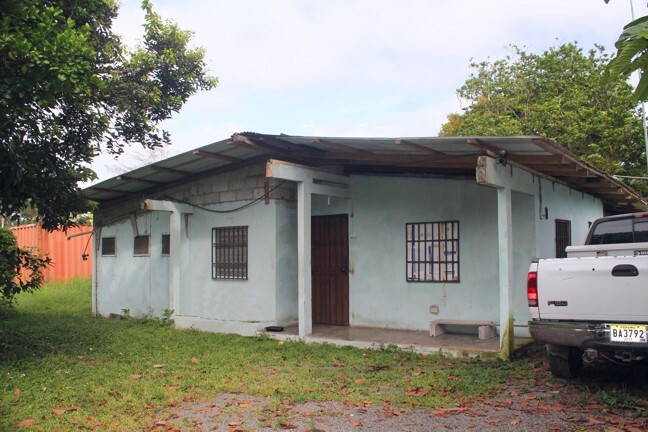 Set in the rolling hills close to the Costa Rican border the land here is extremely fertile due to the altitude around 4,000 feet and the tropical sunshine. 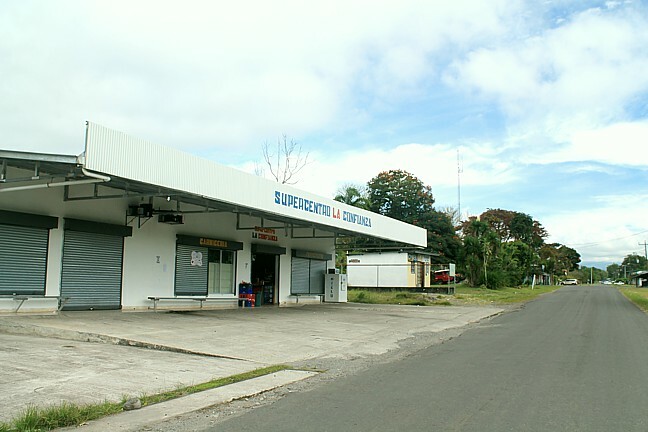 Chiriqui province in Panama is the bread basket of the country producing by some estimates of up to 80% of all the fresh vegetables in the country. Sadly, medical problems struck this American family just as they were building their dream farm in the country. The benefit for the buyer is that now you have a blank-canvas on which to paint and build your dream home in the country. The kitchen counter tops are in and the plumbing was installed in this 4 bedroom, 3 bathroom home. Amazingly the farm house has an indoor well. 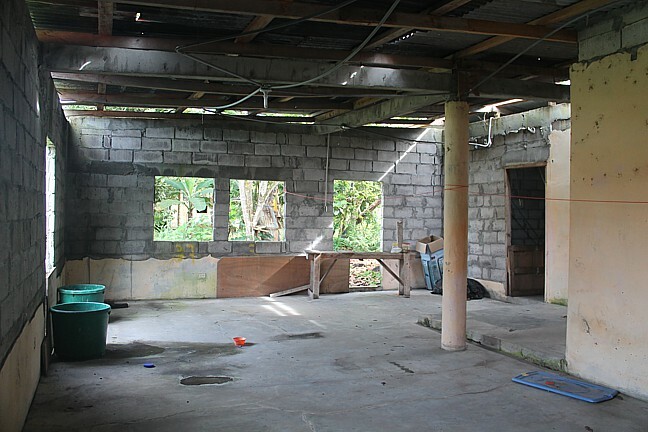 As you can see from these pictures of the unfinished rear rooms there is ample space for a large country lounge and kitchen or offices for the farm. 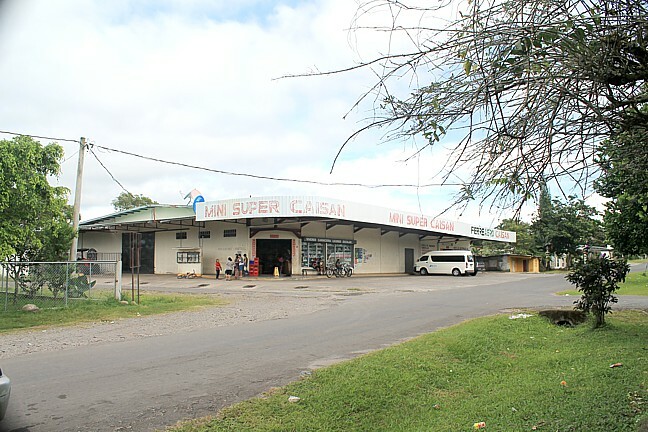 Caisan has three supermarkets and 3 agricultural supply stores, these are located just minutes away from the farm. CAISAN, is located west of the town of Volcan, in countryside that is truly spectacular and outstanding. The area abounds with clear, Trout bearing streams and fast becoming a tourist attraction. The farm is 1.78 hectares. located in the Plaza proper of Plaza de Caisan, Panama. Included is a 4 bedroom 3 bathroom house that is still under construction. 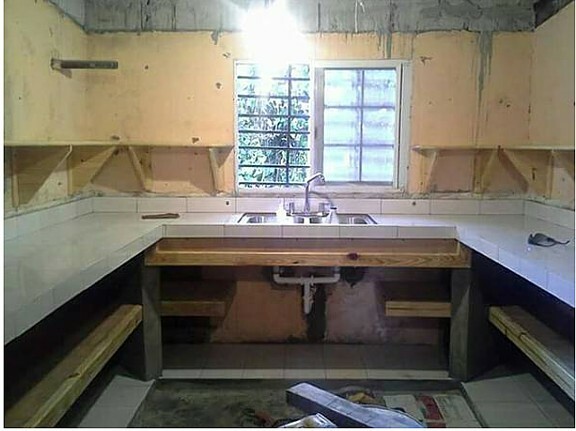 It has a mostly completed interior, a completed kitchen and a completed bathroom. 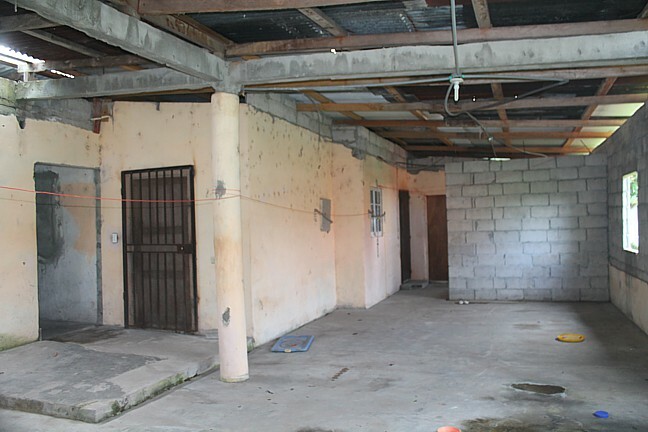 It comes partially furnished and could easily convert into offices for a business. It comes with an indoor well which is plenty of water for it's own water supply and the property can also hook up to the town water. It has electricity and has internet capabilities. It has 2 outbuildings and a shed. 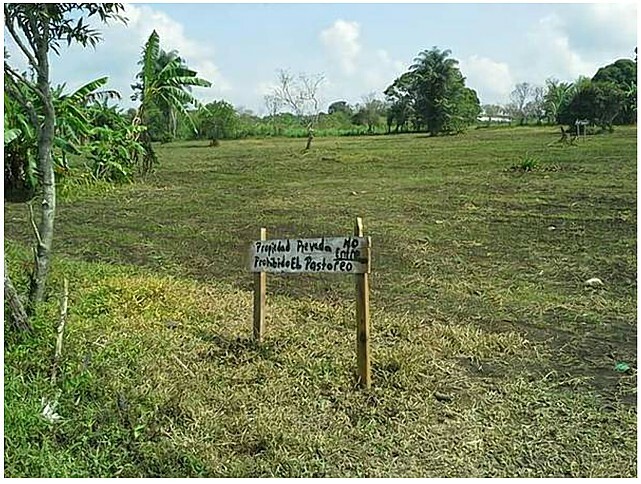 The field surrounding the property has 150 banana trees, corn and rice.